Chang Kim’s fascination with visual play using type has strongly influenced his work and career as a graphic designer. 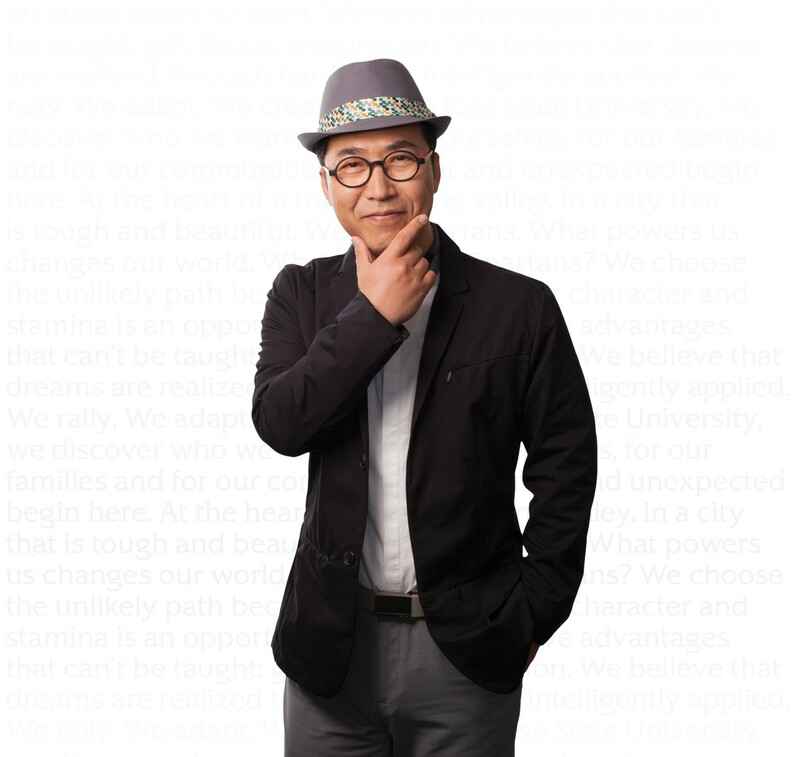 In addition to creating San Jose State’s proprietary typeface, SJSU Spartan, Kim has shown his work in international typography magazines, conferences and exhibits. Using type as image, he creates typograms—visual illusions with dual meanings that communicate concepts in effective, enjoyable and humorous ways. Expert in metamorphic image making with experimental typography and visual identity design, he counts among his corporate and institutional clients Samsung Electronics, Hyundai Motors, Donghwa Bank in Korea and Hewlett-Packard. His philosophy for teaching design? Start with curiosity and move through an open process of experimentation.